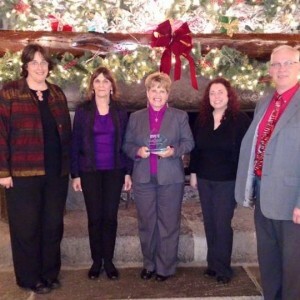 The Connecticut Assisted Living Association recently held its annual award ceremony. Five communities in the state received Best Practice Awards. The Watermark at East Hill received an award for Resident Services. The award was made for an outstanding outing provided by the community when residents were taken on an overnight camping trip at a Boy Scout camp. The Boy Scouts provided a number of learning opportunities for residents including knot tying, using compasses and campfire cooking. The residents provided learning opportunities for the Boy Scouts when they shared their own childhood Scout experiences. The camping trip was commemorated by a special patch that symbolized the weekend. Prime Publishing produced a comprehensive article on the award, which you can view here.